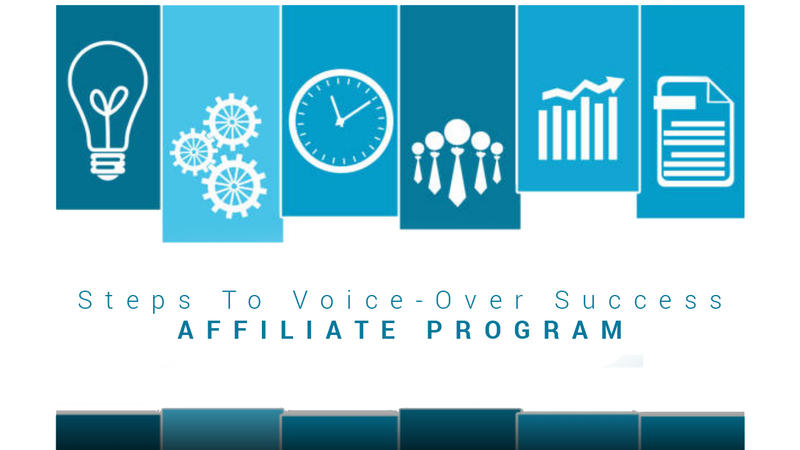 The opportunity to become an affiliate for Steps to Voiceover Success is now available to all. This opportunity is one that can be extremely lucrative for the voiceover artists that is looking to add a stream of income from providing voice over services to the world. Who better than you, that is benefitting from these services already, to offer this great coaching service to others. Get 20% of every sale made through your affiliate link. If it is a monthly package you sell, you get paid every month for as long as that person is a member.